Y’all, New York magazine did the greatest profile of Ask a Manager yesterday. I love everything about it, except that apparently I say “I mean…” constantly. But I feel like the writer really gets the site and what’s going on here. Read it here! how do you hide your job hunt when you’re working full-time? I know… not only does it show that more than just white guys work in offices (stock photo sideeye) but it’s super-cool vintage! I had no idea there were photos like this in stock photo databases. Kudos to New York magazine for choosing it. And congrats, Alison, it’s a great piece! The style is awesome, but I feel a little unnerved like they’re all starring at me with blatant disapproval. Haha! Congrats! I really love this site – it’s like “Dear Abby” but for the modern workplace. 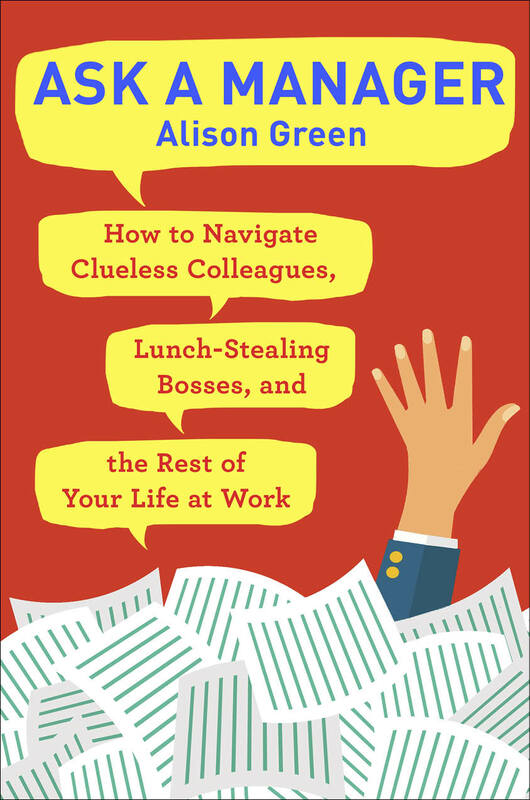 I recommend my students read it as it’s *so* relevant for folks just entering the workforce. Exactly! 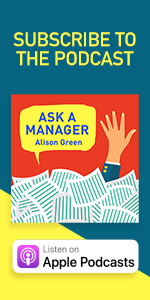 Alison tells them what their manager is likely thinking, and the commenters tell them what a full range of their coworkers are likely thinking. This is awesome, but now I also kind of want to read Ask A Magician! I definitely want to read an AAM spinoff called Ask A Magician. I bet they would have advice on how to make rice sculptures. I’m sure he’d have fascinating advice on dealing with black magic in the workplace. Which is, after all, but one of many hazards. I’m actually a magician, so I got the biggest kick out of Ask A Magician. Part of the reason it’s so funny is that magicians are the most secretive people in the world. They have meetings late at night at 24-hour diners. You have to ask half a dozen people about a trick before anyone will tell you. (Don’t want to give up the secrets to just anyone.) It is the polar opposite of Ask A Manager. Hold it right there. 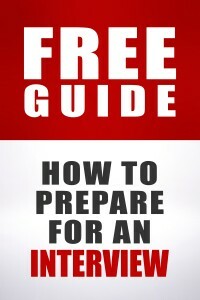 Are you a professional magician? If so, I want to interview you for the “interesting jobs” series I sometimes do. I would tell you, but it’s a secret. (I crack myself up!) I am a professional children’s entertainer and magic is part of what I do. I’ll send you an email. Are you an alliance-approved magician? I love this! I must have been reading since 2008, and when I found you, it was like the sun parting the clouds. You’ve been an invaluable resource and I read some of the more outrageous problems with a nod and smile for when that was me. I remember emailing a question to Alison about interviewing after leaving a job due to a close bereavement – that was back in autumn ’09. Alison emailed me directly – I can’t remember what it was – but I’ve been an avid reader since and recommend it on a regular basis to all and sundry. I also like the community we have on here. Yeah, congrats on the coverage! I hope more managers take the advice and consider the discussions we have here. Wider recognition is always good. This has been tremendously helpful to me as I navigate the world from my parents who don’t even have blue collar jobs really and who have a range of really bad advice (though different from the call and call and call again things) into a strange and different kind of nonprofit where I did have a wonderful boss. And then I had a Really Horrible boss. And now I’m in a much more normal white collar kind of work force (even if it is government!) and it is so nice to get a lot of reality checks and have a place to go to find a kind of normalization. I think one commonality here with ALL advice columns is the whole “I want this person to change their behavior but I don’t want to have an awkward conversation about it, so how do I make it happen?” It’s been really valuable for me, as a confrontation-averse person, to see it as the choice it is: say something or learn to deal with it as is. I think, relatedly, people who are people-pleasers (and the Venn diagram between those people and confrontation-averse people is likely a circle) are always trying to assess the moods and opinions of those around them and adjust their styles accordingly, and assume other people are attempting the same sort of mind-reading exercise and deliberately not pleasing them because they don’t like them/they aggressively don’t care/whatever malicious reason that is likely not true. Alison does a good job of cutting through the BS of that thinking, and I’ve benefited a lot from it. Ooh yeah, that is all right on the money. I’m a regular NY Mag reader, and noticed this article — at first I thought Alison was extending her reach, since NY Mag does have advice columns and I thought this would be a welcome addition along with Ask Polly! But then I saw it was more of a profile, and I agree that the article nicely captured what’s great about this site and Alison’s advice. Great article! Congrats! I know you’ve helped me through TONS of awkward situations as a manager, and I thank you! Niiiiice press! FWIW, I log on almost every single day when I need a quick break at work — I’m never disappointed! Don’t listen to that one commenter about “I mean”, Alison! You write conversationally — that’s something we love! Yep. The job is explaining things. A lot of things have to be said more than one way so that most people catch it. It only makes sense that, you would say, “I mean” a lot, Alison. I counted four times- maybe I missed something? For the amount that is there, I would not have noticed the repetition. Congrats on the very nice article. I hope it goes in your scrap book. In reading AAM on an almost daily basis for several months, I can’t say I noticed Alison’s frequent use of “I mean”. In the short excerpt, it was more noticeable. But I agree with Thomas W – I love that Alison writes conversationally! Excellent article, congrats Alison! I made a huge career change last year and I’m at my first white collar office job. Between your site and Corporette, I truly feel like I have learned so much about the working world. Nice, but you’d think they’d at least mention the URL and provide more than just a single hard-to-find link. Obviously, we don’t need it, but they should make it easy for the new visitors. It’s there! The first time she mentions the site name, it’s a link. It wasn’t there at the time I commented. I thought I had missed the obvious until I checked to be sure. Oh! You are correct. Your comment has made it happen, possibly! My first thought was “page views = $$$” and I’d hate to see you miss out on the traffic you deserve. Well said. I feel all of Alison’s advice on how to TALK to people about awkward and uncomfortable issues has helped me think through how I want to communicate with everyone in my life. I didn’t grow up with people who knew how to communicate and it has been a life-long learning process. And this blog has saved me oodles not having to pay for real therapy again! I look forward to this blog every single day and it is now what I read first before anything else. Thank you Alison for all you do for your readers. The column really captured how important your advice and wisdom is for so many of us. The straight talk you promote has been a life-saver and I am glad for your success. Congratulations! That’s an aspect the interviewer didn’t cover. The tone of the comments here are a rarity on the internet. But we know to speak up, and Alison cleans things up if that isn’t enough. So true! I really appreciate the comments section as well! It does make this a great online community. I think if that happens, it will get explained to people who miss the cues. That’s something that occured to me too–but I feel like most of us here are fairly good at teaching newcomers our culture. And as ThursdaysGeek pointed out, Alison’s also great at putting a stop to jerks who won’t learn. This was directed to Katie the Fed. Congratulations, Alison! As anyone (most anyone) who has ventured to this blog would say – it’s terrific! I only came across it several months ago and wish I had been a follower since the beginning! That said – reading the archives is so helpful. I also want to note the readers/commentator community are in my opinion, now part of the success of AAM as I really enjoy and look forward to most everyone’s added perspectives. Of course, without Alison’s amazing job, people wouldn’t spend time to come to this site and then add quality feedback themselves. I’m totally a loooonnnnnnnnng-time lurker and rare commenter, though I probably recommend the website to folks five or more times per month. Always so impressed by Alison’s thoughtful replies and awesome ensuing commentary from the AAM community. Congrats, Alison! It’s been so cool to be a [tiny] part of observing and participating in your success over the years. Commenting for the first time ever to say that this is great, and you are great, and reading the site for the past few months has kept me sane during an anxiety-producing time at work. In fact, I applied the “have the awkward conversation or live with it” advice just today. I did have the awkward conversation, and it was uncomfortable, but I was calm and made my point and the person got it and nobody died and now I don’t have to stew about it forever. Honestly, I suspect reading AAM is helping my personal life too. Thank you for all that you do. Congrats, Alison! I know you’ve sort of answered this before, but I think it was a while ago. Since I assume you don’t manage people anymore (although it seems like you still do a bit of hiring), how do you make sure your experience is current, so to speak, in the real world of workplace norms? I love Miss Manners, too, but recently some of her suggestions (perhaps as she gets older) have not seemed like something a normal person in 2016 would do. What a great piece! It gets across so much of what makes AAM so enjoyable.